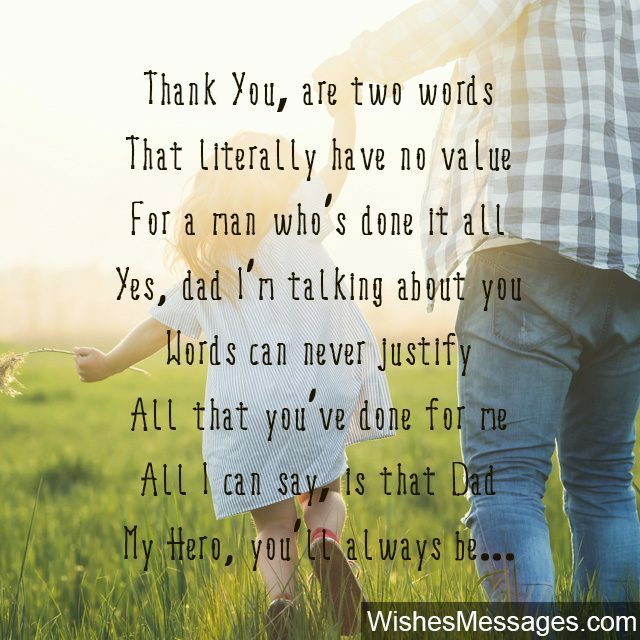 Thank You Poems for Dad: Stop waiting for Father’s Day or your dad’s birthday to say thank you to the old man. 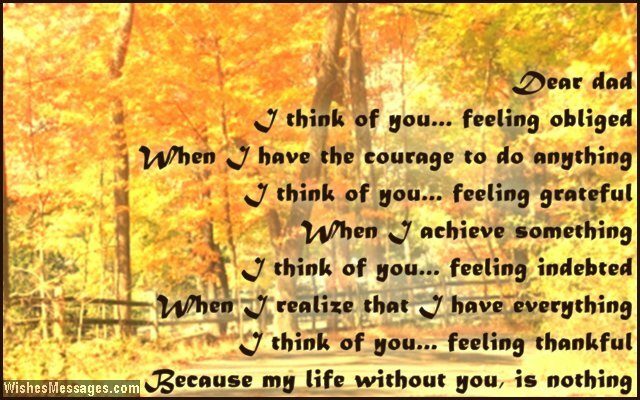 Bring a smile on his face by randomly sending him sweet quotes and messages. 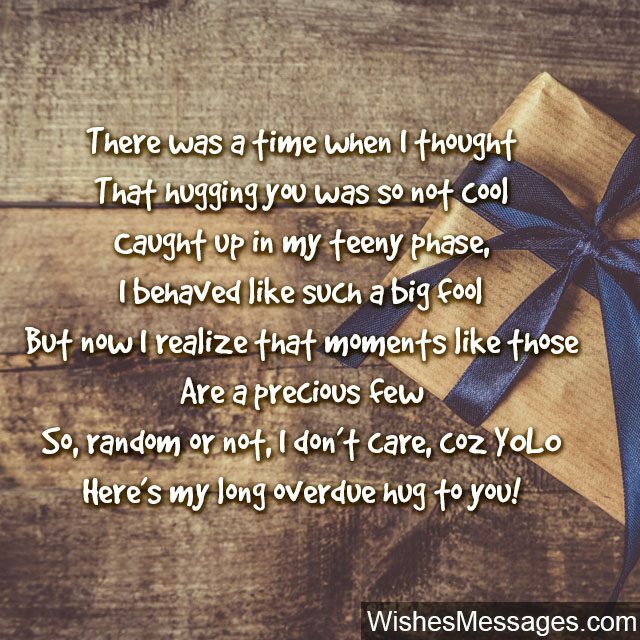 Random texts, a greeting card tucked away in his jacket or even a cute handwritten note. If all that seems a bit too over the top, post it on his Facebook or tag him in a tweet. 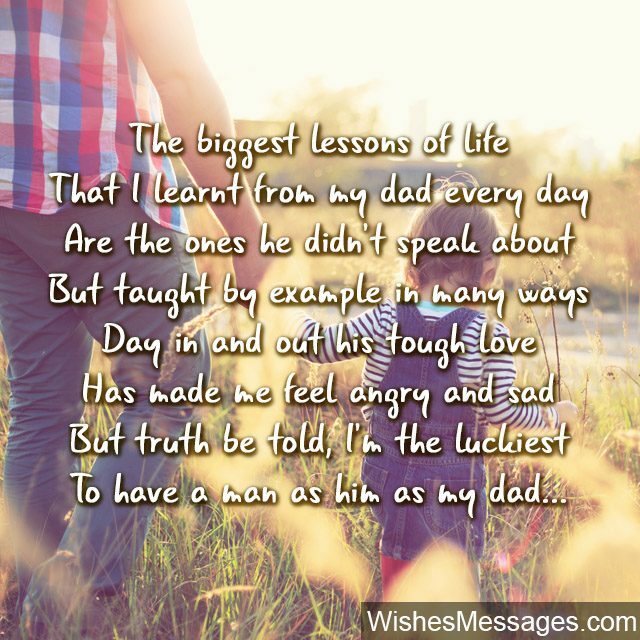 Read these poems and reflect on your own father-son or father-daughter relationship. 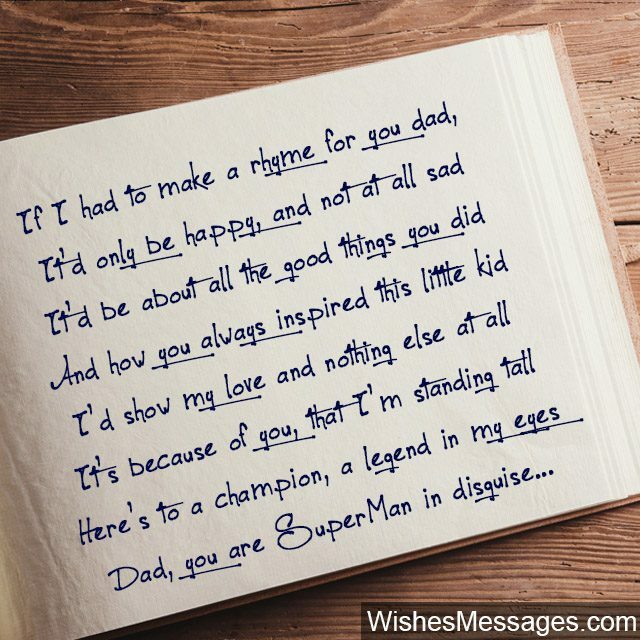 Think about your bond with your dad to write your own original short rhyme so you can honestly say that the words came straight from your heart. 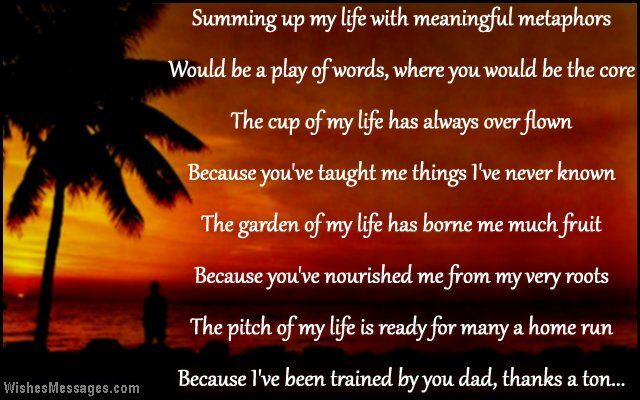 Regardless of whether you pen down something touching or something witty and funny – what is more important is the fact that you took the time to show gratitude to the man who puts your life before his own. 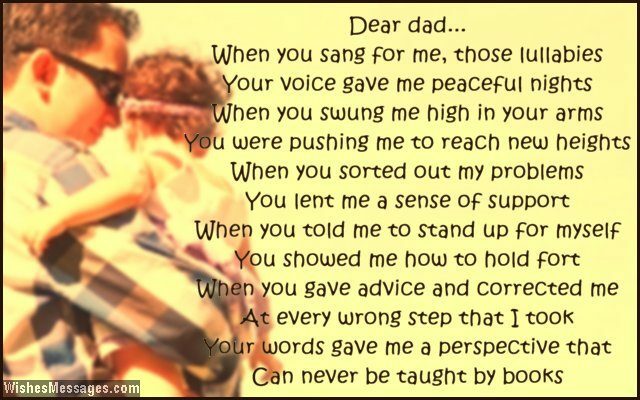 Your dad will feel proud to be a parent of a child who realizes all the sacrifices that go into being a good father.